Recent Arrival! 24/31 City/Highway MPG 10 other models like this in stock! Come see us at Infiniti of Valencia. At the Valencia Auto Center you’ll find even more new car, truck, SUV & van selection with highly competitive prices & total transparency in your purchase process. With 17 luxury, domestic & import dealerships representing 24 brands along one magic mile, your family can make one stop in Santa Clarita for automotive sales, parts & service. Remember ValenciaAutoCenter.com; featuring Santa Clarita Classifieds, new car research & compare tools, an auto loan calculator and lease calculator, and thousands of new Southern California cars and trucks for sale. 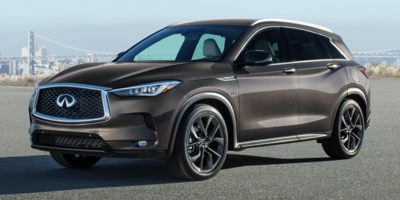 This 2019 INFINITI QX50 LUXE FWD is available now.